Master’s Duct Cleaning Oak Park – We offer professional air ducted heating cleaning, central duct cleaning, duct system sanitisation, floor or ceiling ductworks cleaning, duct deodorisation and duct repairs services in Oak Park. Grab 25% winter special discount same day bookings!!! Ducts require regular professional cleaning to keep running smooth and effectively. If you also want to enjoy maximum benefits from your ducts then hire Oak Park’s specialists from Master Cleaners. We have certified duct cleaners who give first priority to customer safety. Yes, duct cleaning is not everyone’s cup of tea and it needs to be handled with much care and precision. We ensure it is done with utmost safety by using highly advanced duct cleaning tools and hiring only experienced cleaners. Give your ducts a cleaning that not just cleans but also enhances duct efficiency, reduces power consumption, leads to cost savings, and keeps everybody safe. Call us today! We offers Professional Duct Cleaning, Duct Deodorising & Sanitisation, Duct Return Vent Cleaning Services in Oak Park. Call on 0428 784 299 or contact us to get same day duct cleaning service anywhere in Oak Park. Master Duct Cleaners Oak Park is the ultimate destination for Oak Park residents looking for professional duct cleaning services. We provide both domestic and commercial duct cleaning services at an unbeatable cost. We know the importance of a clean duct and we endeavor to provide affordable services so that YOU can have a healthy living and working environment with cleaner ducts. Master Cleaners Oak Park is an expert in removing carbon, debris, dust, and dirt from the ducts. Our expert duct cleaning professionals in Oak Park ensure that your ducts are free from any dust and dirt. Thus, get in touch with us today to restore your dirty ducts. End your search for ducted heating cleaning services in Oak Park at Master Cleaners. We have the best solutions for all your ducting needs. Apart from ducted heating, we can clean evaporative cooling systems, HVAC system, floor ducting, centralised ducting, roof turbine cleaning and more. Our cleaners use the advanced tools, required skills, and years of experience in cleaning almost any kinds of the duct in your residential and commercial spaces. Reach us now and get your ducts cleaned at specialised prices. We at Master Cleaning Oak Park offer a wide range of cleaning services. The cleaning team of our professionals give good care and maintenance to your air conditioning systems and coil cleaning is an essential thing to do. Dirty coil slows down the functioning of your air conditioning system which ultimately leads to high electricity bills. Hence, if you do not want to happen the case with your systems, having them cleaned on time is the best way to avoid it. The duct cleaning team is professional and talented and know you the best ways to bring you the best results. Call us now for same day coil cleaning services in Oak Park. The professional duct cleaning team we own at Master Cleaning Oak Park also offer duct mould removal services. Moulds in the ducts are responsible for various health issues in the home such as a constant cough, sneezing, wheezing and more. It also causes bad odours. Duct mould removal is something that needs to be done quickly, without any delay, and our cleaning team does it in an efficient and safest manner. The extent of dirt in your HVAC system decides the quality of indoor air that you breathe. If you keep it clean, expect clean air and if it is dirty, expect the worse. Duct cleaning from Master Cleaners Oak Park will improve the indoor air quality by delivering finest cleaning services. How energy efficient your duct is depends on how clean you keep it. At Master Cleaners Oak Park we not just clean the outer area of the ducts but work on every part including controls, dampers, fan heaters, and cooling coils. Insulation and vapour barriers are two major parts that require attention and cleaning. By getting your ducts professionally cleaned every season you can ensure smooth working of these two parts as well and save money on costly replacements. 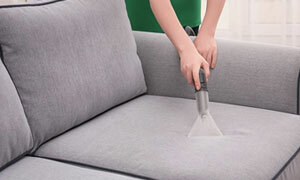 We also promise that you will be cleaning your upholstery and carpets less frequently once your ducts have been cleaned thoroughly by our experts from Master Cleaners Oak Park. Let Master Cleaners Oak Park worry about your ducts while you enjoy its benefits! Master Cleaners Oak Park also offers air conditioning duct cleaning at amazingly affordable prices. Air conditioning duct cleaning at regular time intervals helps maintaining a cool and comfortable environment in the home. Moreover, AC duct cleaning helps in reducing high energy bills and keep your pocket at ease. The professionals of our duct cleaning keep themselves up-to-date with advanced techniques and tools to bring you only the best results for duct cleaning Oak Park. In case, if you feel there is unnecessarily high energy cost and the air inside home is polluted, make sure you hire our experts for duct inspection. Master Cleaners duct technicians are capable of not only cleaning but servicing and repairing your heating systems. Servicing your heating systems is one of our primary duct cleaning Oak Park services. With the regular servicing and maintenance, you make sure that your heater units are working efficiently by keeping your home and premises warm during the chilly winters. Also, heating system servicing reduce the energy costs of your energy bills while making your house energy efficient. Other efficient services we offer at Master Duct Cleaning Oak Park include evaporative cooling system servicing. Regular servicing and maintenance improves the efficiency and makes the system works smooth for years. Also, with regular servicing of evaporative cooling systems, you save hundreds and thousands of dollars that you would spend on replacing the system. So, call our technicians today and hire the best services for evaporative cooling system servicing and cleaning at the best prices on the same day of booking. The duct cleaning technicians of Master Cleaners Oak Park are trained to satisfy our customers in any condition. Thus we also offer same day duct inspection and duct cleaning services. Moreover, we are also available on weekends and public holidays. Our technicians understand the emergency needs of customers thus reach the premises with all the necessary tools and equipment. So, contact us today and get unbeatable services for duct cleaning on the same day of booking. Why Choose Master’s Duct Cleaning Oak Park? Our duct cleaning is available in all suburbs of Oak Park. Let your ducts live longer and give you a healthy life by keeping them fit. Give Master Duct Cleaning Oak Park a call and hire the experts of duct cleaning services for your ducts!